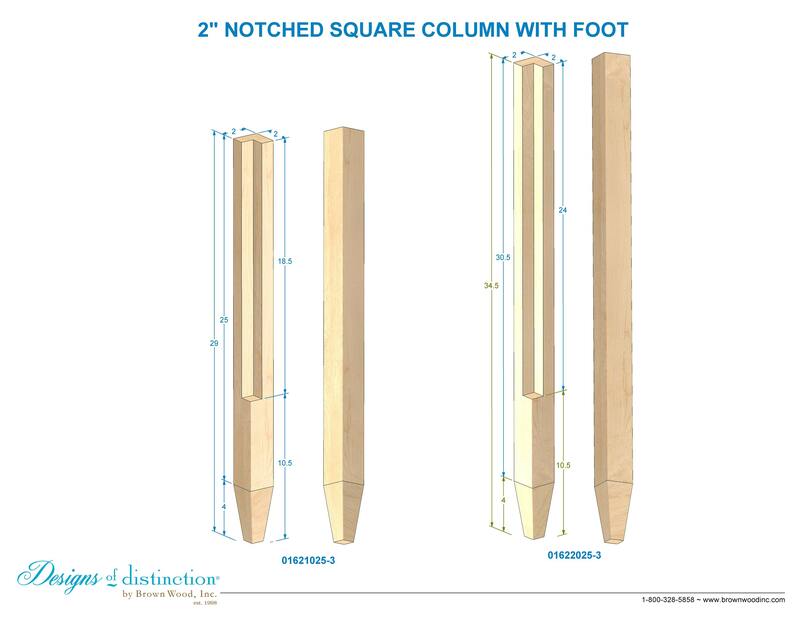 The Notched 2" Square Leg with Tapered Foot can be trimmed to accommodate any furniture height. Choose "Cut to Length" below to customize your piece. The 2" Square Island Column has a 2" block-end, allowing you to attach to an apron or shelf.